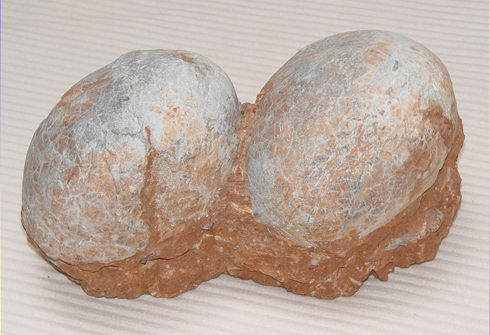 Very rare natural pair of fossiled dinosaur eggs on the nest. Hadrasaurus from the Henan province of China. 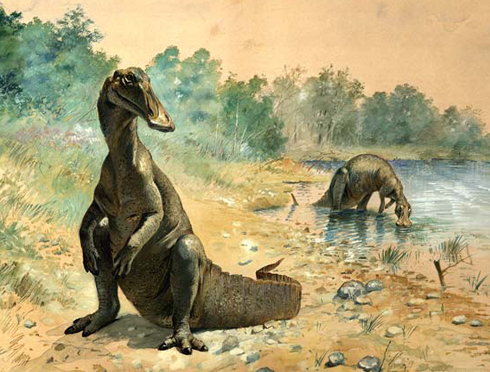 A plant eating duck-billed dinosaur from the Cretaceous period. Retaining a lovely duck egg blue colouration.